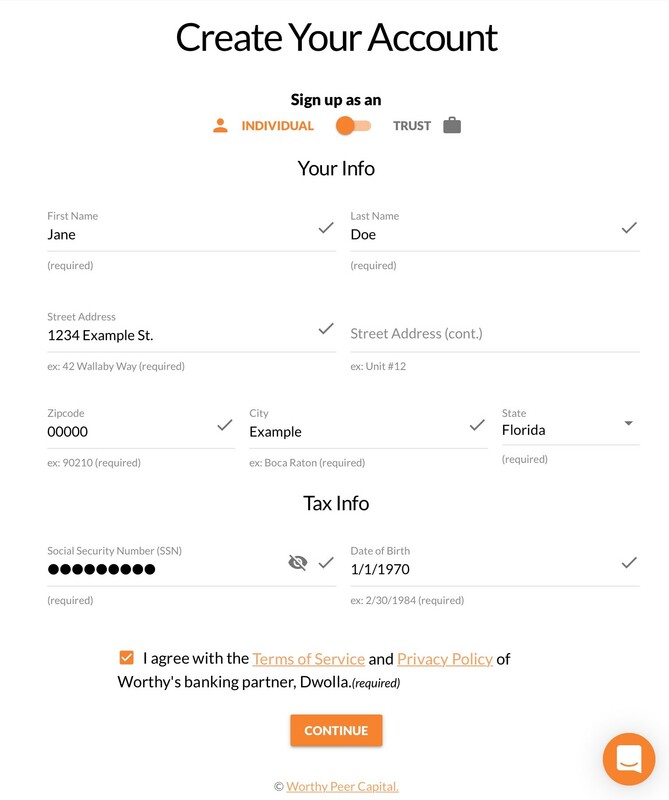 Illustrated steps through signing up and adding a funding source. After selecting "Get Started" on the welcome screen, you will be directed here. Be sure to select Sign Up, before entering your email and password. You will be prompted to make sure your password meets security requirements during this step. Next, you will be asked to fill out your personal information. You will also get the chance to decide if you would like to sign up as an Individual or Trust account here. After agreeing to terms and conditions, the orange "Continue" button, will guide you to the next step. 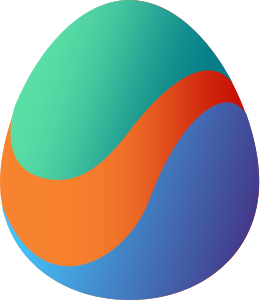 Now we're ready to add a funding source. 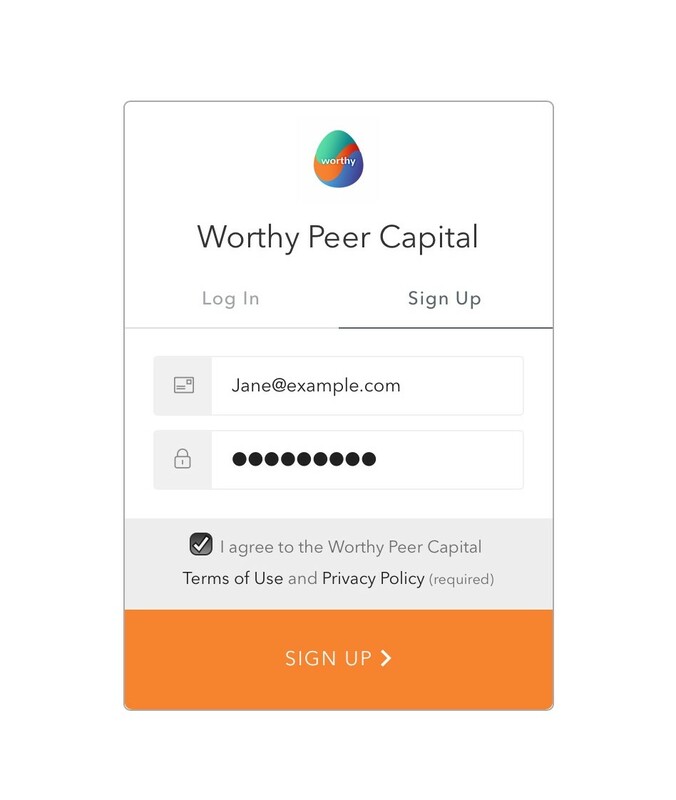 This is what enables you to invest with Worthy. 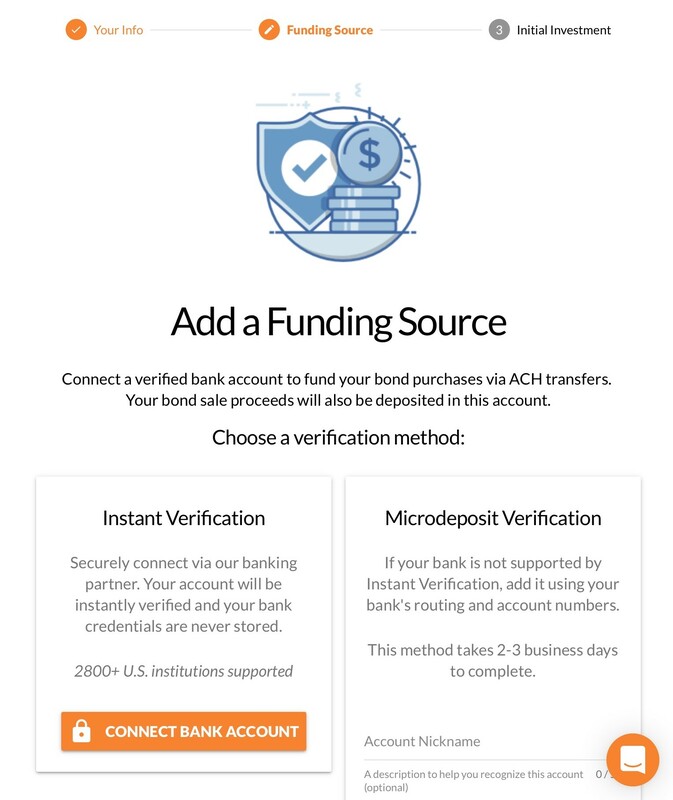 You get to choose between Instant Verification, which uses your online banking credentials. Or Microdeposit Verification. This is the easy part! 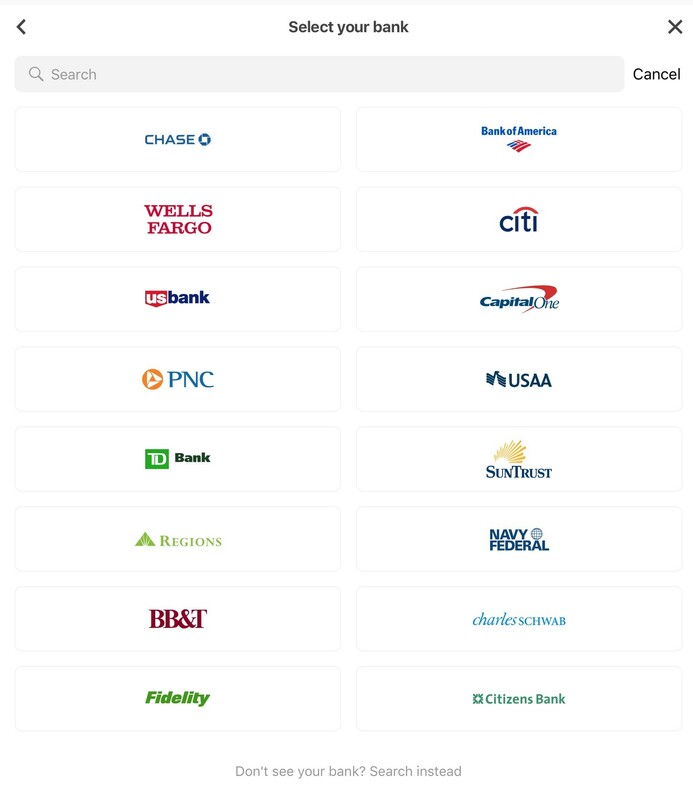 Just select your bank from the list shown, or search for your bank if you don't see it listed above. 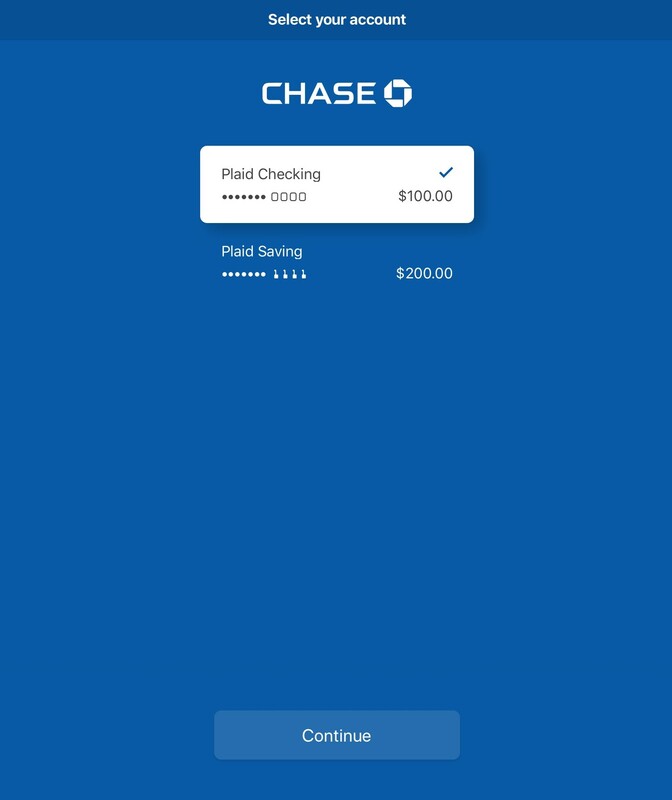 After correctly entering your online banking credentials, your bank account will be linked to your Worthy account. Once this step is complete, you're all set with adding your funding source.